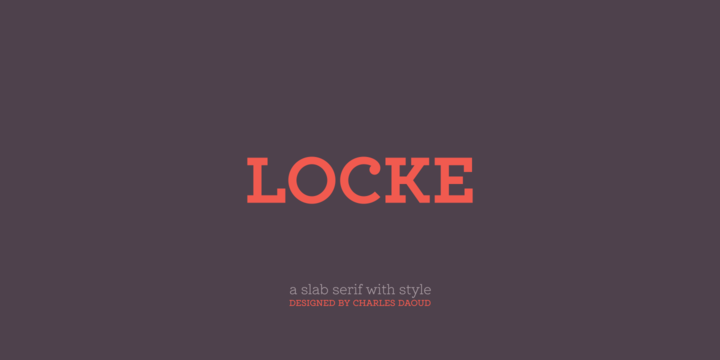 Locke is a slab serif typeface created by Charles Daoud and published by CDType which is available in 6 weights, almost 400 glyphs per weight and multilingual support. It merge perfectly for large titles, body copy, headline, logo, poster etc. A font description published on Thursday, July 21st, 2016 in CDType, Charles Daoud, Fonts by Alexandra that has 2,499 views.